Minority participation in most clinical trials is low, often out of proportion with the groups’ numbers in the general population and their cancer rates. Like a man on a flying trapeze, K.T. Jones has leapt from one medical study to another during his 15-year struggle with cancer, and he has no doubt the experimental treatments he has received have saved his life. Jones, 45, has an aggressive type of Hodgkin lymphoma that resists the usual therapies. At the start of his most recent clinical trial, his life expectancy was measured in months. That was more than three years ago. He received a drug that helped his immune system fight cancer, a type of immunotherapy, the hottest area in cancer research and treatment. Jones is one of many patients who have benefited from lifesaving advances in immunotherapy. But he’s an outlier: He is African American. As money pours into immunotherapy research and promising results multiply, patients getting the new treatments in studies have been overwhelmingly white. Minority participation in most clinical trials is low, often out of proportion with the groups’ numbers in the general population and their cancer rates. Many researchers acknowledge the imbalance, and say they are trying to correct it. Two major studies of immunotherapy last year illustrate the problem. The drug being tested was nivolumab, a type of checkpoint inhibitor, one of the most promising drug classes for cancer. In both studies, patients taking it lived significantly longer than those given chemotherapy. In the first study, of 582 patients with lung cancer, about 92 percent were white. Three percent were black, 3 percent were Asian and 3 percent were listed as “other.” In the second study, of 821 people with kidney cancer, 88 percent were white, 9 percent Asian and just 1 percent black. According to 2015 census figures, whites make up 77 percent of the U.S. population, blacks 13.3 percent and Asians 5.6 percent. A 1993 law requires that all medical research conducted or paid for by the National Institutes of Health (NIH) include enough minorities and women to determine whether they respond to treatment differently than other groups. Minority enrollment in its studies was about 28 percent in clinical research and 40 percent in Phase III clinical trials in 2015, the NIH said. But the NIH paid for only about 6 percent of all clinical trials in the United States in 2014, and those it does not support do not have to adhere to its rules. The lung and kidney studies of nivolumab, for instance, were paid for by the drug’s maker, Bristol-Myers Squibb. Researchers say such studies, geared toward getting a drug approved for new uses, are often done quickly, and minority patients may be left out because it can take longer to find and enroll them. One obstacle, researchers say, is that people in minority groups tend to have lower incomes and less education, and therefore less awareness of medical studies and how to find them. Many live in areas that do not have easy access to a major cancer center. Moreover, minority patients with cancer are more likely to have other, poorly controlled chronic diseases such as diabetes that may make them ineligible for studies, according to Dr. Julie Brahmer, from the Johns Hopkins Kimmel Cancer Center. Even if they do qualify and want to enroll, financial hurdles can be daunting. Studies may involve frequent trips to the hospital, requiring time off work and expenses for travel, parking and child care. Some doctors simply assume lower-income, minority patients could not manage it. Trials can offer huge advantages, such as new treatments that may otherwise be unavailable. Expensive drugs and tests are usually free. The overall care is often better than routine treatment, because patients see doctors and nurses more frequently and have more tests. Though success is not guaranteed, a clinical trial can be a lifeline. At Queens Hospital’s Cancer Center in New York, researchers are trying to reach disadvantaged patients by bringing clinical trials to them. For one black patient there this fall, chemotherapy had stopped working and his colon cancer was spreading. “It’s something you don’t want to hear,” said the patient, a slight man of 61 with a soft voice and a strong Jamaican accent. He asked to be identified only as Mr. M., to protect his privacy. “We all have to go,” he said. Linda Bulone, a research nurse manager, was hoping to buy him some time with a study that would test for mutations that might make his cancer vulnerable to certain new drugs, which he could then receive. 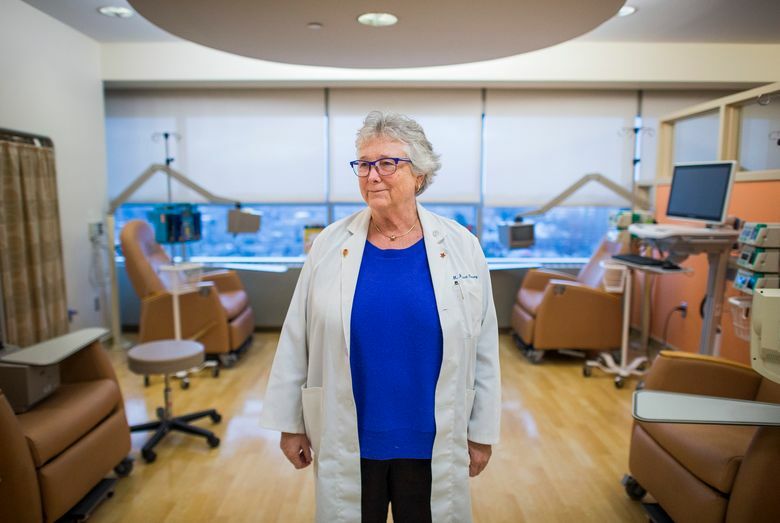 Her effort was part of an unusual collaboration between the Queens center, where 92 percent of patients are from minority groups, and Memorial Sloan Kettering Cancer Center, one of the nation’s most renowned cancer hospitals. 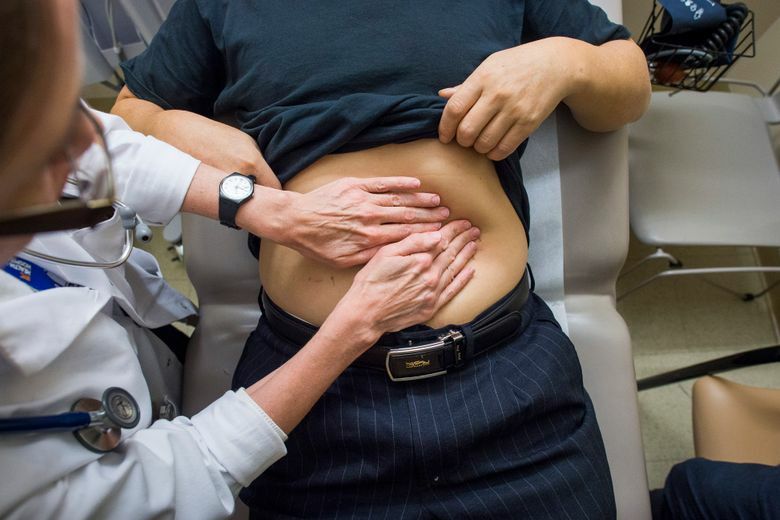 Opened in 2002 by Dr. M. Margaret Kemeny, a surgical oncologist and professor of surgery at Mount Sinai School of Medicine, the Queens center is part of NYC Health & Hospitals/Queens, a public hospital that turns no one away. Many patients there are uninsured; 85 percent of those with cancer qualify for emergency Medicaid, Kemeny said. 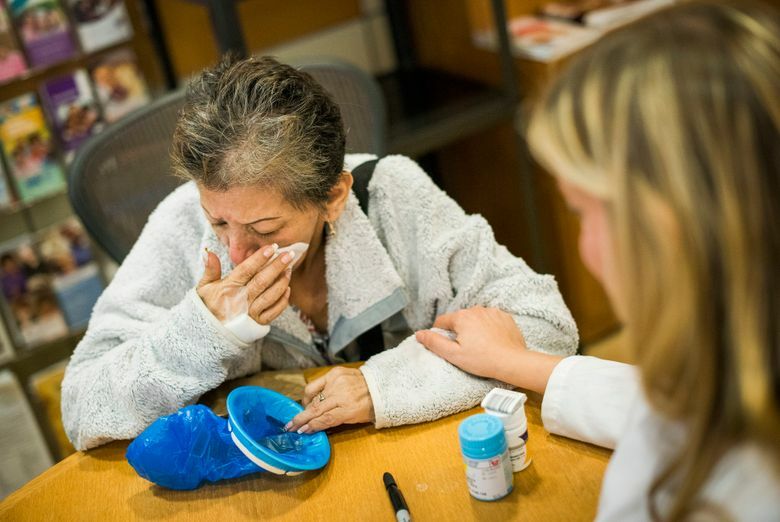 The cancer center operates a pantry, and many patients need it. Kemeny wanted cancer patients to have access to studies, and lured Bulone away from a tony suburban hospital to start a research center in 2004. “You can’t do good medicine for cancer without a research program,” Kemeny said. Most of her patients have never heard of clinical trials. Mr. M., for instance, knew nothing about genetics, mutations or Memorial Sloan Kettering. Sensing that he, like many of her patients, had trouble reading, Bulone took most of an hour to read the consent form for the study aloud and explain it. He signed. 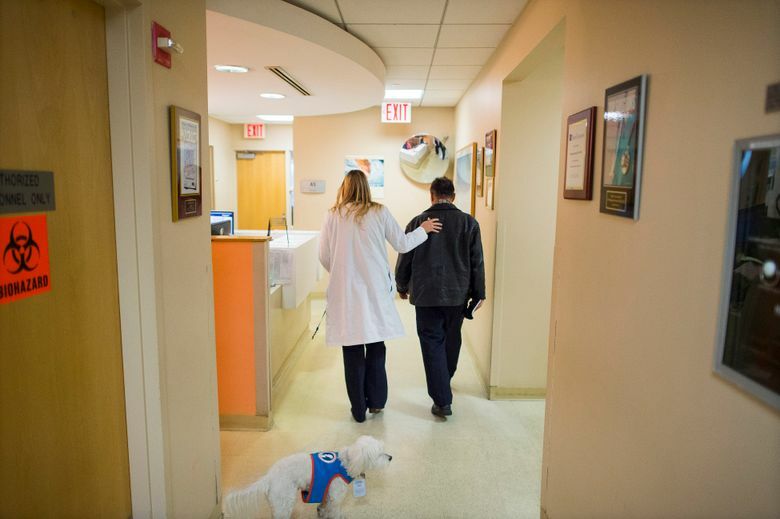 “Once you’re in the study, you’re a patient of mine forever,” Bulone told him. As she does with every study patient, she gave him her cellphone number and said he could call any time night or day. He hugged her on the way out. 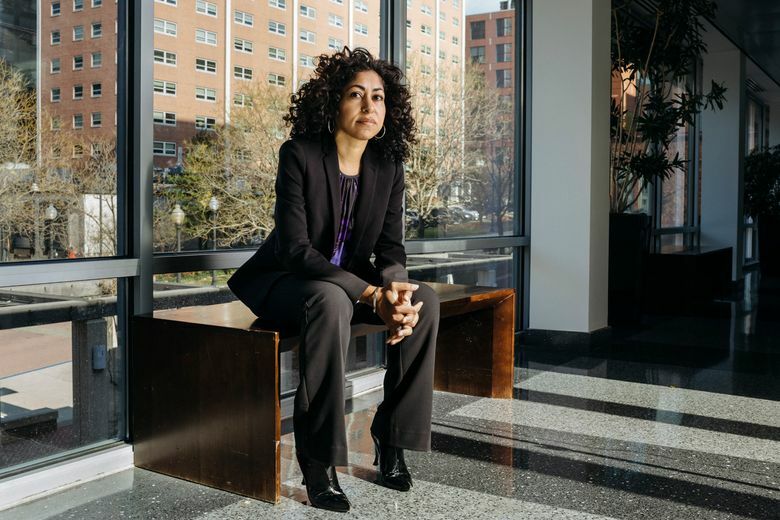 The center has patients in about 35 trials, she said, adding that drug companies looking to enroll minorities sometimes seek out the Queens center because it’s such a melting pot. Though she is white, she has had no trouble signing up patients from other races, she said. She said it was important to work with patients who are illiterate or have little education, factors that some may think would impede their ability to follow directions, and make them poor candidates for clinical trials. She considers that discriminatory. Bulone uses a telephone translating service to explain studies to patients who do not speak English, and the hospital or drug companies pay $2,000 to $6,000 to have consent forms translated. To find patients who might be helped but know nothing of trials, she recently began asking another city hospital for its list of patients to be discussed at its “tumor board” meetings, where doctors evaluate difficult cases. If any patients meet the criteria for a study, she contacts them. Recently, she found Sung Yoo, a Korean man with gastric cancer who qualified for a promising study of a checkpoint inhibitor. It took 16 days to get the consent form translated, but he waited and eagerly signed up. Clinical trials can reveal things useful to a whole ethnic or racial group. For instance, a drug for kidney cancer, sunitinib, has proved more likely to cause skin problems in Asians than in whites. But how blacks compare is not known, because not enough have been included in studies, said Dr. Robert Motzer, an oncologist at Sloan Kettering. Dr. Otis Brawley, chief medical officer of the American Cancer Society, said, “When we look at race, it matters sociopolitically far more than biologically.” He said lower enrollment of minorities in clinical trials was part of a larger problem of unequal care that contributes to higher death rates from treatable cancers in some groups. “I sometimes cynically say, ‘The drug certainly does not work in blacks when blacks don’t get prescribed the drug,’ ” Brawley said. The notorious Tuskegee study, in which black men with syphilis were deliberately left untreated during the mid-20th century, is frequently cited as a reason black patients avoid studies. But once the safeguards to prevent abuse are explained, researchers said, minorities are just as willing as whites to participate. Most people are wary of studies with control groups given placebos, but cancer studies do not use placebos: The control group generally gets the best available standard care. One way to increase minority enrollment that some researchers favor is conducting studies that focus on specific racial or ethnic groups. Few such studies are done, but Brawley warned that requiring certain enrollment levels for minorities could backfire, tempting researchers to pressure patients to sign up. Another solution, some suggest, would be for medical journals to refuse to publish studies unless they include appropriate numbers of women and minorities. There were 23 people in the small study that probably saved Jones’ life. He was one of two black patients, a higher proportion than in most larger studies. 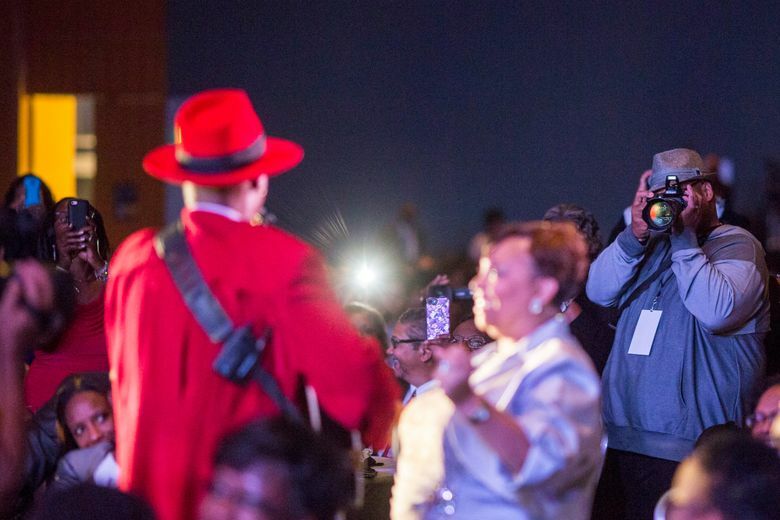 Jones said he was unaware of any racial divide in research, and his stubborn personality and determination to live drove him to find studies, entirely on his own. He scoured ClinicalTrials.gov, which lists available studies for many diseases. A drug name he saw there led him to an online video describing a study at MD Anderson Cancer Center for patients like him. Jones lives in Delaware and thought MD stood for Maryland, a short drive away. He was stunned to find out the hospital was in Houston. He and his wife had to stop paying their mortgage to afford plane tickets. Eventually, they lost their house. But the treatment worked — for a while. When he relapsed again, he could not afford to keep traveling to MD Anderson. His doctor there helped him transfer his care to Sloan Kettering in New York. Again, experimental treatments helped, but temporarily. Then he hit the jackpot. In 2013, he entered a trial of the checkpoint inhibitor nivolumab. He was treated for two years. The study became a landmark, with an 87 percent response rate among patients like Jones, who had burned through every other option. “This was just hitting it out of the park,” said Dr. Alexander Lesokhin, his oncologist at Sloan Kettering. Jones was treated for two years. His tumors shrank, and he has been off treatment for a year. Doctors are not sure whether the cancer is gone or being kept at bay by his immune system. 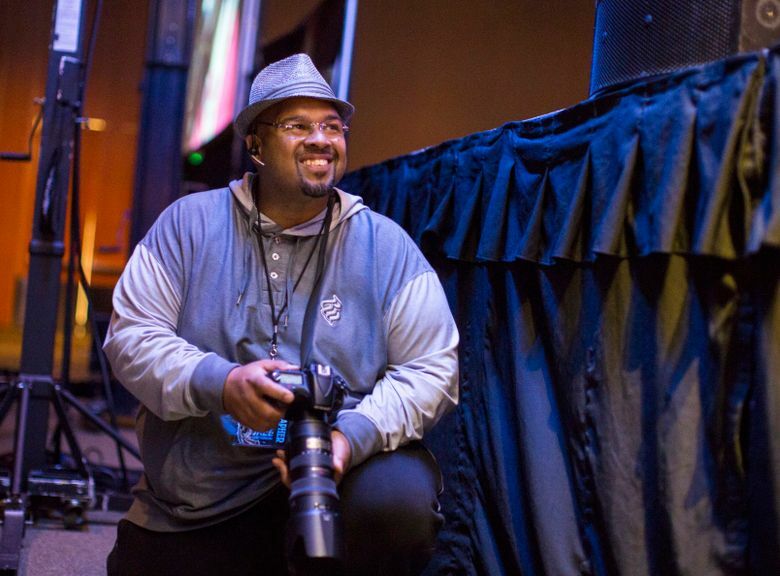 But he is feeling well and has embarked on a new career that he loves, photographing jazz musicians.